Power in the hand, beauty to the eye. 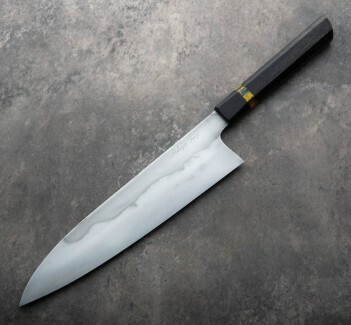 Hand-forged by Joe Schrum of Halcyon Forge, this gorgeous 250mm / 9.84" chef knife is a kitchen workhorse, strong, sharp, weighted and balanced to perform the most demanding cuts, in style. 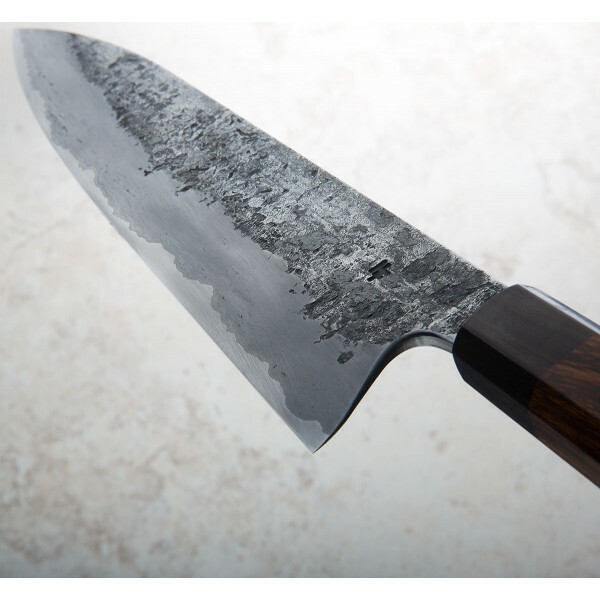 The kasumi-finished san mai blade consists of wrought iron cladding with forge-finished flats and a core of clean, 1.2519% carbon steel. The grain in the ironwood handle and matching saya, crafted by Cody Paul, will give you goose bumps. An African Blackwood bolster provides the final touch. A truly impressive knife superbly built in Missouri. Blade length: 250mm / 9.84".  Overall length: 400mm / 15.75". 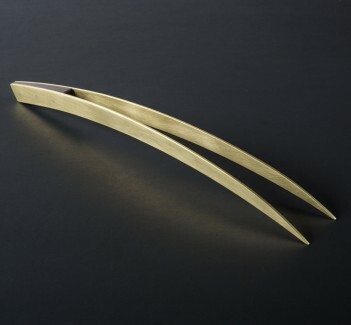 Blade width above heel: 3.8mm. Blade width 1" from tip: 2.2mm. Blade height at heel: 54mm. Weight: 9.1oz / 260g. 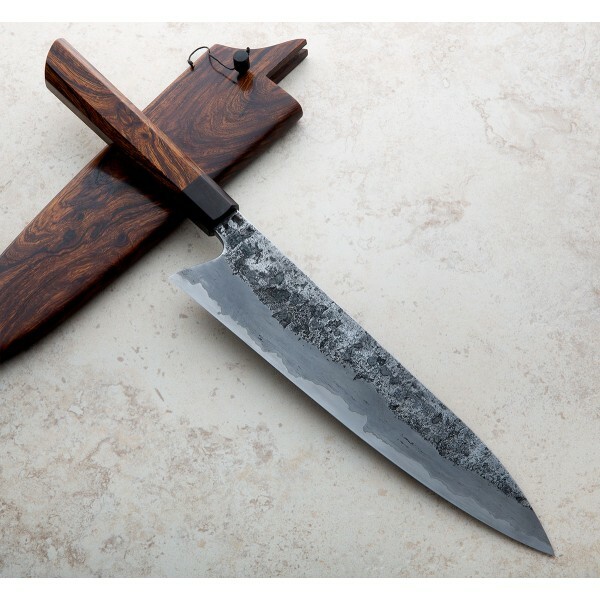 Blade: Wrought iron clad san mai with clean carbon core containing 1.2519% carbon. 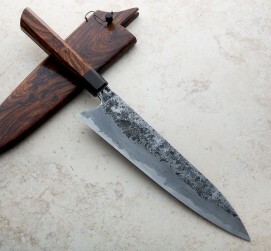 Handle: Ironwood with African Blackwood bolster. Saya: Ironwood.